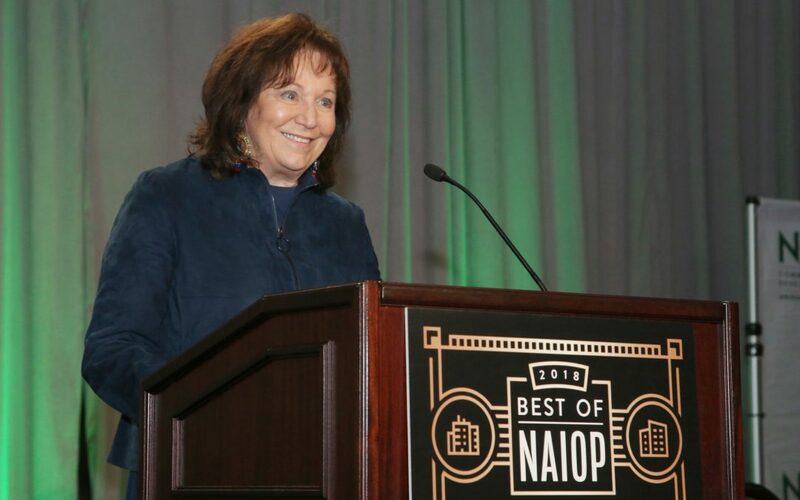 PHOENIX (April 1, 2019) – Commercial real estate’s leading annual awards celebration, the Best of NAIOP, took place on March 28 at the Arizona Biltmore. Nearly 1,000 industry professionals gathered to celebrate the many successes that helped make Metro Phoenix one of the most exciting markets in the country. The Arizona Chapter of NAIOP gave out awards in 29 categories. Sharon Harper, whose development expertise and leadership have influenced the Valley’s commercial real estate and business communities, was honored with the Award of Excellence. Harper, President, CEO, and co-founder of The Plaza Companies, is the first woman to win NAIOP Arizona’s Award of Excellence. Park Central, a Plaza Companies project under development in Midtown Phoenix, was selected as Transaction of the Year and named Talk of the Town. NAIOP Arizona’s Award of Excellence is awarded by the Arizona Chapter Board of Directors on an annual basis at the Best of NAIOP event. The criteria for the recipient are an individual who has made a significant, positive impact on the office and industrial commercial real estate market in Arizona over a period of no less than 15 years, as well as their direct volunteer contribution to the chapter. Willmeng Construction, Inc.: General Contractor of the Year; Phoenix Design One, Inc., Interior Architect of the Year; and Lincoln Property Company, Owner/Developer of the Year. In the brokerage awards, CBRE captured six of the nine honors, including Developing Leader, Healthcare, Investment, Office, Rookie, and Tenant Rep brokers of the year.